Since July 16th, 16 people have died in Uganda of an Ebola outbreak. 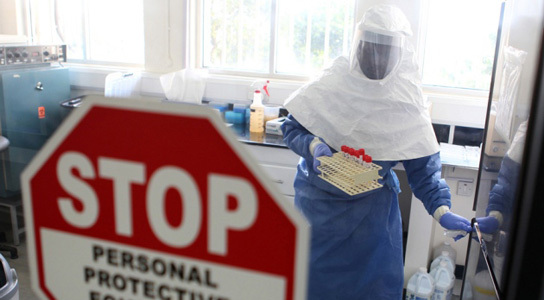 Contrary to previous outbreaks, a laboratory in Entebbe, near Uganda’s capital Kampala helped deal with the situation and passed its first major test by taking a leading role in confirming and tracking the infection. The lab is run by the US CDC and based at the Uganda Virus Research Institute (UVRI) to test tissue samples from patients demonstrating symptoms of the viral hemorrhagic fever. Thanks to its proximity, it has helped speed up the response and for now, the outbreak seems to be under control. It’s an advantage to have sophisticated surveillance labs in the parts of the world directly affected by viral infections. The lab was initially set up in 2007 after the outbreak of a newly discovered strain of Ebola, named Bundibugyo that killed 42 people. When this outbreak subsided in 2008, the CDC invested in a permanent facility, which features biosafety-level-3, enough to diagnose viruses from tissue samples but not enough to grow virus-infected cells for more sophisticated analyses. 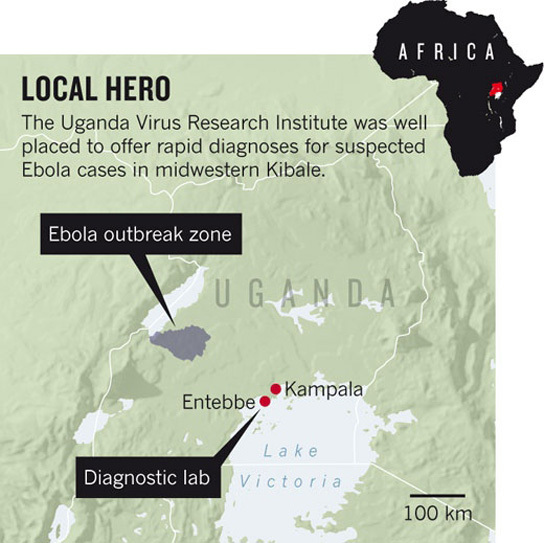 There have been three Ebola outbreaks in Uganda since 2000, so the lab should help diagnose future outbreaks early. Previously, samples would have to be airlifted to high-containment labs in the US or Africa, which could take weeks instead of hours. Due to the proximity to outbreak areas, it’s also possible to keep tabs of large tissue samples of the local population since the lab can go back and forth to the epicenter of the epidemic daily. Be the first to comment on "Ebola Outbreak in Uganda Tests Readiness"